A shining smile shows off your teeth and brings your oral health to the center of attention. Practicing good oral hygiene keeps teeth and gums sparkling and strong so you can flash your smile with confidence. But that’s not all. Your oral health can be a sign of your overall health, too. The ties between oral health and the rest of your body run deep. There are links between your teeth and your cardiovascular system. A healthy weight can be shaped by good oral hygiene. And the health of your joints can be manifested in your mouth, too. 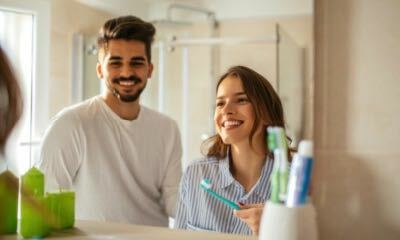 Examining the connections between your body and your pearly whites can help you see why the health of your teeth and gums are so important. Crack a smile, because your oral health just got a lot more interesting. You use your mouth to tell others how you feel. But without saying a word, your mouth can give clues to your overall health. Think of your mouth as a door to your body. It opens and shuts for important visitors like food and drink. And it keeps out harmful germs and bacteria. A lot of things enter through this gate. So, it’s necessary to keep it healthy. You can see how your body is doing from this doorway. When teeth are shiny and breath is fresh, all is more likely to be well. But when teeth are missing or decaying away, that can signal trouble inside. By knocking on this door and seeing what’s inside, you can catch a glimpse of your body’s overall health. 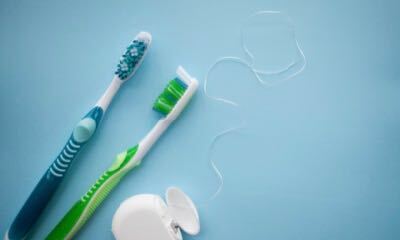 Take a look at how the following factors are connected to your oral health. 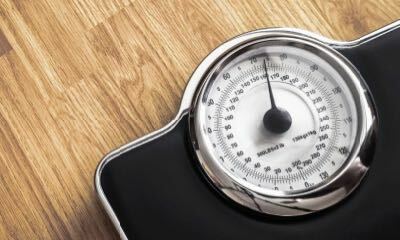 The connection between oral health and weight might be the strongest link the mouth has with the body. That’s because the health of your teeth and gums has a close relationship with the food you put in your body. You know what can increase your weight. Sugary foods like candy and soda chip away at your healthy weight and wear down your teeth. The sugars in these foods feed bacteria that can erode the protective layer of your teeth and cause tooth decay. When teeth are compromised, eating becomes uncomfortable. Try crunching on something healthy like carrots or apples when your teeth are aching. That’s why it is so important to choose healthy foods for meals and snacks. They protect your teeth and make it easier to keep eating well. 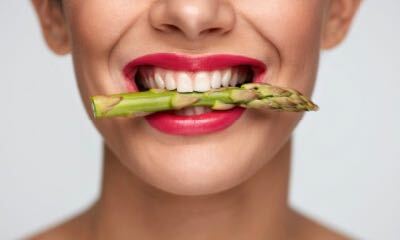 Think of healthy teeth as another benefit of eating wholesome foods. Your waistline will thank you and so will your smile. You might be surprised to know that other healthy habits like exercise can keep your teeth and gums in good shape, too. Adding regular physical fitness to your schedule can also boost your oral health, according to a Japanese study. Increasing your activity level has been shown to lower the likelihood of developing issues in the teeth and gums. This is because regular exercise can influence other health-conscious behaviors. Choosing to exercise daily means you’re more likely to make other choices that positively impact your oral health. Examples include abstaining from drugs and alcohol, eating healthier meals, and brushing and flossing more often. But diet remains as the biggest link in the chain between weight and oral health. So, do your teeth and your waistline a favor and trim away the junk food from your diet. The surprising tie between your heart and mouth may make you think twice before you skip brushing your teeth. Unhealthy teeth and gums may be a precursor to more serious heart issues. Protecting your heart from harm is essential to staying healthy. That’s why it is important to keep the bacteria in your mouth under control with regular brushing and flossing. Taking good care of your teeth and gums is an important way to support your heart health. By keeping your mouth clean and free from contaminants, you can support heart health. And all while you’re flashing a beautiful smile. Discomfort in the teeth and gums can also be symptoms of problems elsewhere in the body. You know poor oral hygiene can lead to decay and tooth loss. But there’s more ways your teeth and gums connect to your body. Tooth loss may adversely affect joint health. Researchers noted the remarkable link between oral health and joint health in a 2012 study. The study showed that having all 32 teeth made participants eight times more likely to have healthy joints than subjects with fewer than 20 teeth. These results led the researchers to establish a correlation between oral health and joint health. So, the more teeth a study participant had, the healthier their joints were likely to be. When you eat for oral health, you’re also helping out your bones and joints. That’s because some of the same nutrients that support joint and bone health also help maintain the health of your teeth. And it makes sense, because while teeth aren’t bones, they have a lot in common. One of the main similarities is calcium. Bones and teeth both have a lot of this mega mineral. But calcium isn’t the only nutrient you need in your diet for oral, bone, and joint health. Also make sure you’re getting magnesium, vitamin C, and vitamin D.
Oral and joint tissues act a lot alike. The cell-signaling molecules that initiate normal, healthy immune responses are the same for joints as they are for teeth and gums. There’s also a genetic component to the link between your mouth and joints. Certain gene markers are prevalent in people with joint conditions. These same genetic sequences can be spotted in the DNA of those with poor oral health, too. Your gums share several surprising things with your skin. To start out with, they’re both pretty effective barriers. Gums keep foreign objects (even the food you eat) from getting into the other tissues of your mouth. And your skin is your body’s barrier against the outside world. Both barriers also require collagen for good health. This structural protein is the most abundant in your body, but is very important to skin and gums. And when you talk about collagen, vitamin C frequently follows. That’s because the essential vitamin and antioxidant helps support healthy collagen synthesis. So, you need to get enough vitamin C to help maintain both skin and gum health. Your skin is always replacing itself. The same is happening in your gums. But the cellular turnover of your gums happens even faster than your skin. About twice as fast, actually. And one more thing that explains the color of your gums: Both your skin and gums get their coloration from melanin. Since your body has so many connections to your teeth and gums, it’s important to keep an eye out for changes in your oral health. Be vigilant in your care for your bones, joints, skin, and your mouth. That way your teeth, skin, and skeletal system will work for you long into the future. The mouth-body connection demonstrates how intertwined the systems of your body are. The wellbeing of your heart, joints, bones, and even your weight are all linked to your oral health. Taking care of your teeth and gums can help support your overall health. That way a strong, beaming smile will be an outward display of just how healthy your body is inside.